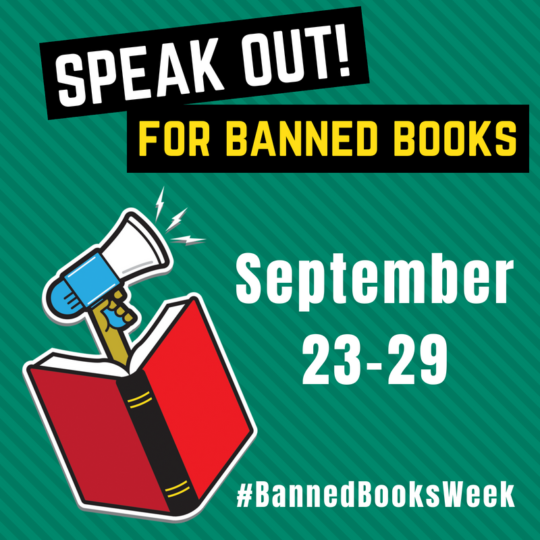 Today is the beginning of Banned Books Week. The purpose of this week is to bring together librarians, publishers, booksellers, authors, teachers, journalists, and readers to support the freedom of seeking and expressing ideas no matter how unpopular those ideas may be. The books that have been banned are books that have been asked to be removed or limited to be checked out in libraries and schools. Banned Books Weeks hopes to draw attention to censorship and the harm it can cause all of us. I shared some thoughts on Banned Books in THIS POST back in 2015. I have very strong feelings about making sure all books are available to everyone. Of course, some books may not be appropriate for all ages of children to read at that particular time. I think it is important for parents and educators to know the abilities and maturity of the child and make the best choice for that particular child. Just because right now may not be a good time for the child to read that particular book doesn’t mean that book shouldn’t be read at all. 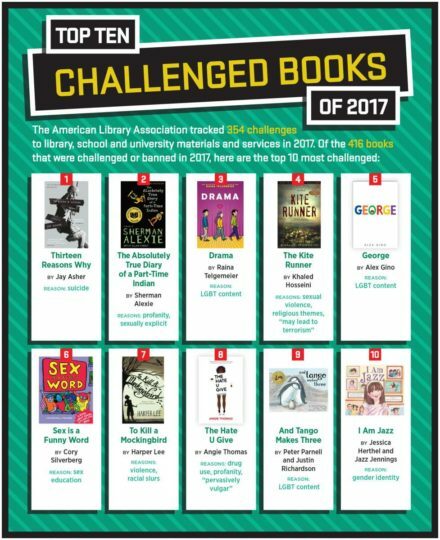 These books are the Top Ten most challenged books from 2017. These books were challenged at various libraries, schools, and universities. Usually, the reason for the challenge is because there are sexual situations, racism, or other material inappropriate for a particular age group. I have personally read three of these books and can agree that those three have themes that may not be appropriate for all ages of readers. But, banning the book completely from a library, school, or university takes away the option for other children and students that may be mature enough to handle that type of book to read it. What is most important to me about our choices of books is that parents and teachers must be involved in their child and students reading. Teachers should be aware of the books in their classroom and have a knowledge of the type of reading a child can handle based on maturity and reading level. Obviously, a child in 3rd grade is not ready for the type of book that THIRTEEN REASONS WHY is and I can’t imagine a teacher having that book in their classroom. But, it if a K-12 library or town library has the book, then it would be in a section that most 3rd grade readers would not be checking out from. 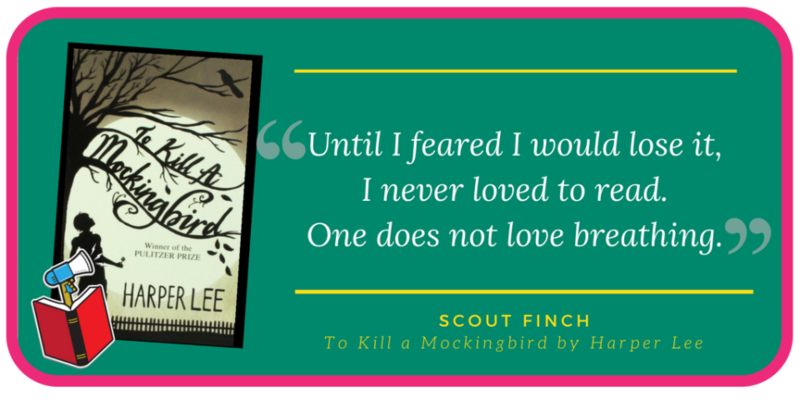 If my child wanted read to read TO KILL A MOCKINGBIRD in 6th grade, I may talk to them about the book and some issues that may come up. I would have a few conversations about mental illness or racism and then make sure that I continue to check in with my child every few days to see if they have questions or concerns about their reading. This is just one of many ways to stop censoring reading. You may hear of someone challenging a book in your school or community library. Don’t be afraid to speak out and challenge their way of thinking. Encourage your book club or a group of friends to choose a banned book and read it. Try to decipher what about that book would have made it a “banned book”. Go to your library and check out a banned book and read it for yourself. Check out THESE LISTS of frequently challenged books over the last couple of decades. The most important part of Banned Books Week is being aware. Many people don’t even know that there are people challenging and banning books. By being knowledgeable, you will be ready to have a conversation about the importance of reading and books being available for everyone that wants to read them. I challenge you to choose one of the books from the 2017 Most Challenged Books and read it before the year is done. Share with others what you learned from the book, what challenged your thinking, and what surprised you. Feel free to leave me a comment about any of the challenged books that you read and your thoughts on them!